Portrait of flower girl and ring bearers. 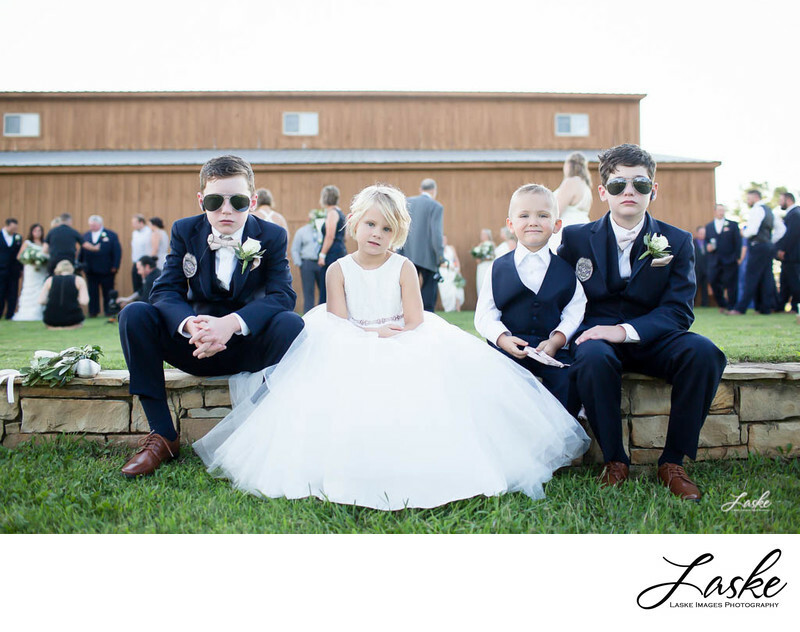 The oldest ring bearers have suits on with badges, sunglasses, dressed to provide ring security for the Bride and Groom's wedding rings. 1/1600; f/2.5; ISO 200; 35.0 mm.